Panasonic has a very good reputation at the portable end of the market as well as in the ultra-large-screen department, so we were looking forward to seeing what the mid-sized TX- 32LXD52 could do. It’s one of the nicest-looking sets, with a sleek, matt black surround and a small speaker panel mounted underneath the screen rather than at the sides. The speakers aren’t the best, however, perhaps due to their size and the fact that the TX- 32LXD52 doesn’t have any special surround-sound enhancement options. That said, they’re fine for listening to day-to-day TV programmes on either analogue or the set’s built-in Freeview digital channel selection. The slightly weak audio is unlikely to be a deciding factor for anyone looking to incorporate the 32- inch Viera into a home-cinema setup with separate speakers. On the other hand, something that home-movie buffs will definitely be looking for is image quality. 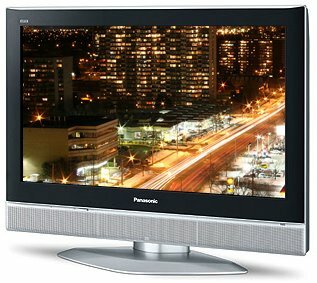 In this area the Panasonic set does well, but isn’t quite as convincing as some of its rivals. In our tests, pure HD material looked stunning via the component video input, while a standard definition DVD looked great when its image was upscaled to 1080i or 720p and played through the set’s HDMI input. Via one of the TX-32LXD52’s two RGB Scarts, the DVD image started to weaken, with a slight but noticeable blur during moments of fast motion. The picture wasn’t great on analogue or digital TV, but this is often the case with HD televisions. The TX-32LXD52’s image seemed a bit washed out generally, and tweaking the slim selection of picture settings didn’t entirely address this issue. On the positive side, the TX- 32LXD52 was very quick and easy to set up. Digital channels benefit from an Electronic Programme Guide (EPG) that is quick to load and simple to use as well as a Common Interface (CI) slot for inserting a Top Up TV card. 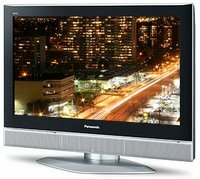 A handsome set with a price tag that puts it towards the cheaper end, the Panasonic TX-32LXD52 is a tempting option let down by a slightly unsatisfactory picture quality.